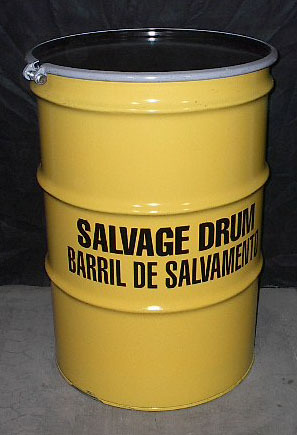 Steel 85 Gallon Open Head, Salvage, Plain Cover, Plain Body,Yellow-Body/Black-Cover, Unlined, UN 1A2/X428/S, Wt. 74 Lbs. Interior Dimensions: 26″ I.D. X 38.5″ I.H. 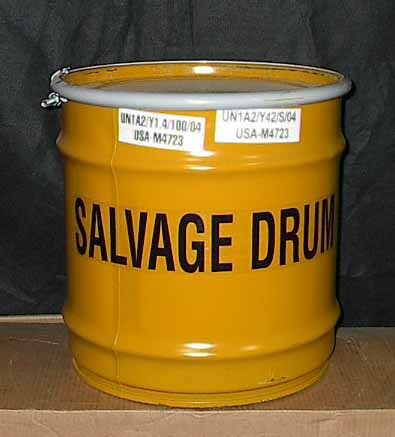 85 Gallon, Open Head Steel Drum – The 85 Gallon Open Head Steel Drum is our second to largest Steel drum on sale for salvage purposes. Unlined and built to the standards UN 1A2/X428/S This is a great option in tandem with the 95 Gallon overpack drum for the peak amount of storage and removal of different types of debris during a crisis. Call us today for specialty pricing. 26″ I.D. X 38.5″ I.H.